Can Brunettes Dye Their Hair Rainbow Colors? While the allure of rainbow hair might be tempting, many brunettes have decided that it simply isn't worth it. Unlike our blond brethren, we darker-haired damsels typically have to lift our natural color to a lighter shade so rainbow shades pop on our strands. That means that we have to accept the harmful effects of the bleach needed to achieve the look. 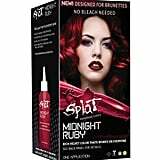 But it seems that we now have options: a promising new color product is taking bleach out of the equation. 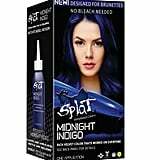 Splat's new Midnight Collection makes it so that brunettes can adopt vibrant shades like indigo, ruby, and amethyst while still maintaining the overall health of their hair. The semipermanent formula works by using tiny micropigments that can transfer the desired color into the follicle but don't require as harsh of a dyeing process in order to look noticeable. 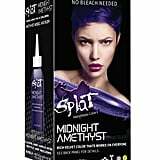 The Midnight Collection is also loaded with conditioner to counteract the usual dryness that results from dyeing your hair. 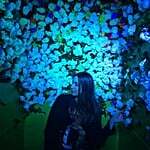 According to Splat, the color will then remain for about eight weeks. 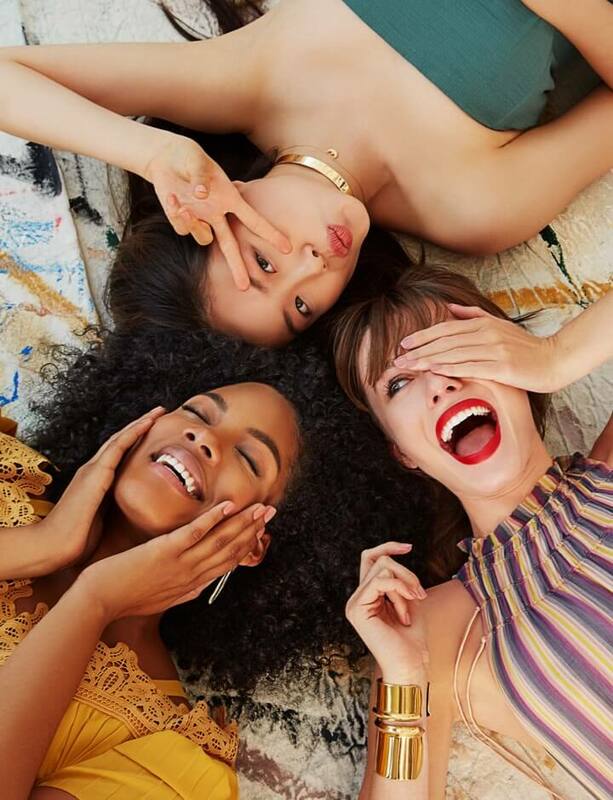 The collection's three shades are exclusively available at Target. Look ahead for the three different products, and start plotting your foray into rainbow hair.